Amanda Banden earned a B.S. in Theater from Indiana State University, appearing in numerous acting roles and earning a nomination for the American College Theater Festival's Irene Ryan Award. After college, Amanda traveled the U.S. as a Tour Actor/Director for Missoula Children's Theatre. During her year with MCT, Amanda directed and performed in Sleeping Beauty with over 3,000 children across 16 states. Amanda is honored to have worked with the Tony Award winning San Francisco Mime Troupe, as an Assistant Director. In June 2005, Amanda completed a Masters Degree in Performing Arts Management at Columbia College. Amanda is a co-founder and Board Member of Chicago’s Quest Theatre Ensemble and served as the company’s Executive Director from 2002 -2009. Over the years, Amanda has appeared in more than fifteen original Quest productions and received a Joseph Jefferson Nomination for Artistic Specialization for her work with Quest. Amanda and her husband Richard have been offering performing arts training in the Park Ridge community since 2010. Richard is truly honored and grateful to give students the opportunity to grow in their confidence, self-expression, creativity, and love of the performing arts at The Stage School. He and his wife Amanda have been providing top quality training in the performing arts to students across Chicagoland since 2008. Prior to starting The Stage School, Richard performed and taught with numerous companies including Missoula Children's Theatre, Nevada Theatre Company, Victory Gardens, Piven Theatre, Quest Theatre Ensemble, Bailiwick Repertory, Talisman Theatre, plus numerous others. Film and television credits include The Weatherman, The Lake House, and ER. These days Richard is giving his focus on being a husband, father, and Principal at The Stage School. He hopes you will join the Stage School family, and we can give your child the tools to succeed, both on and off the stage. Erica Zintek Petro was born and raised in Chicago and received her B.F.A. in acting from Wright State University in Ohio where she trained in several acting methods and styles including: Improv, Shakespeare, Stage Combat, Stanislavski, Meisner, and Viewpoints, which she trained directly with Tina Landau of the Steppenwolf Theatre Company. Upon graduation, Erica spent four years traveling as a Tour Actor/Director with Missoula Children's Theatre having the unique opportunity to work in schools, theaters, military bases, and communities across the U.S., Canada, and Europe. Over her four years with Missoula Children's Theatre, she has performed and directed such shows as "Cinderella", "The Princess and the Pea", "Rumpelstiltskin", "Snow White and the Seven Dwarfs", and "Beauty Lou and the Country Beast". 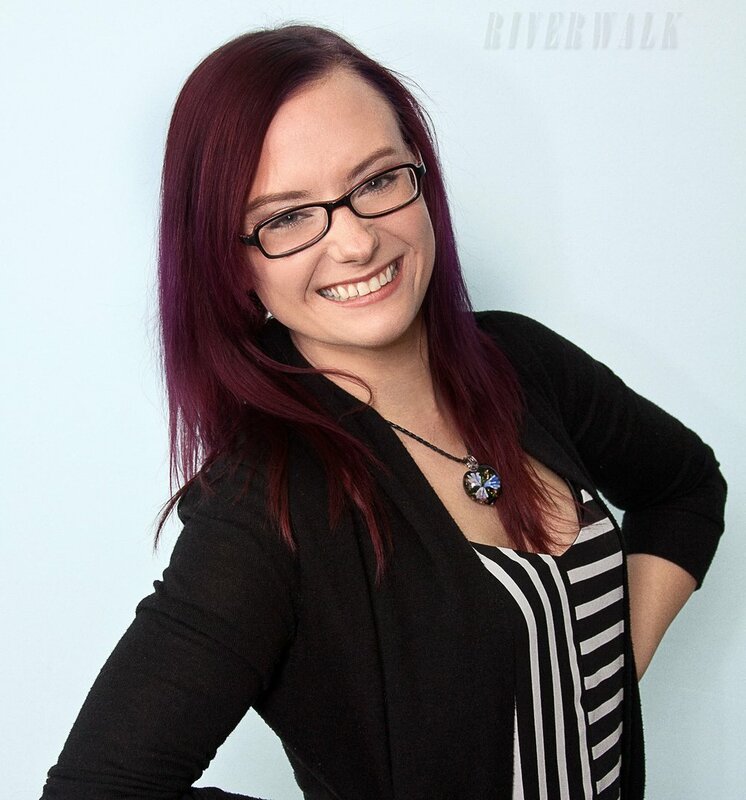 Erica has spent the past seven years as a Teaching Artist specializing in both Children’s Theatre and Dance working with several companies on both the north and south sides of the Chicagoland area. Erica is thrilled to continue working with the students of The Stage School and is looking forward to helping each student reach their goals as a performing artist! Emily attended The Boston Conservatory and Lawrence University, two intensive conservatory programs where she explored Opera, theater, ensemble music, psychology, dance, management and arts education. She has fostered a lifelong interest in working with children. Over the past two years, she explored her passion with teaching children at Greenfields Academy as their After School Coordinator and Teaching Guide. Her experiences in child care and education have ranged from nannying, to teaching private music and drama lessons, and most recently, group mentoring during and after the school day. She recently spent the better part of three years working in the New York City public school system, developing and implementing arts-driven social emotional programming for children in low-income neighborhoods. She whole-heartedly believes that every child should be encouraged to try something new and take a giant leap towards self-discovery in a safe, supportive environment. This passion has brought her to The Stage School and is eager to serve as their Singing Instructor for the Fall term. In her free time, she loves to cook for her friends, see new theater, play violin, and run around with her dog. Kat has her undergraduate degree in musical theatre from Western Illinois University and her graduate degree in education with a specialization in early childhood from Ashford University. She has worked as an actor, teacher, choreographer and director for companies such as Lexington Children's Theatre, Missoula Children's Theatre, the Beverly Arts Center, Riversong Dance Studio, TheatreWorks Florida, and the Mundelein Park District. Some favorite roles include Bridgey Sullivan in Oz and Mrs. Beaver in The Lion, the Witch and the Wardrobe. When she is not on stage or in the classroom, Kat enjoys watching football and snuggling with her dog, Nugget. Sara is thrilled to be joining the teaching staff at the Stage School! She recently relocated to Chicago from Kalamazoo, MI where she has taught dance and theatre classes for over five years with programs like Kalamazoo Kids on Stage and the Kalamazoo Civic Theatre Academy of Theatre Arts. She is also a preschool teacher with a huge passion for early childhood education. Sara has a Theatre Arts degree from the University of Michigan and seeks to instill her own love for performing in her students by making each class a fun and engaging learning experience. Shera is excited to be back as the singing teacher at The Stage School this Summer! She is currently attending Wichita State University where she is studying Music Education. A Kansas native, Shera graduated from Wichita State University with a B.F.A in Musical Theatre in 2008. After college she performed as a singer/dancer for the Shoji Tabuchi show in Branson, MO. In 2013 Shera joined Missoula Children's Theatre International Tours as a Tour Actor/Director performing and directing The Frog Prince and Rapunzel. This past year Shera performed in several Great Plains Theatre shows including The Cat in The Cat and the Hat, Sister in Damn Yankees, and in the musical She Loves Me. In her free time Shera enjoys volunteering at Music Theatre for Young People (Wichita, KS), playing her ukelele, and spending time with her friends and family, inclusing her mom's six cats! Allison is a Chicago transplant originally hailing from Toledo Ohio where she began dancing at the age of three. She was a competitive dancer for 14 years and graduated with her B.S. in Dance Performance from Illinois State University in 2011. Allison has been teaching dance in the Midwest for over 12 years traveling around Illinois, Ohio, and Michigan sharing her love of the performing arts with students of all ages. In February of 2016 she helped to open Top Note Performing Arts Academy where she is currently on staff as head choreographer. Allison is also the co-founder of The Orchid Theory, a community wellness and empowerment program based in Chicago. Current Teaching credits include: ABC Dance Academy, Old Town School of Folk Music, Design Dance, Chicago Loves Dance,Windy City Performs, and Stretch N Grow. Prior to moving to the Chicago area, Allison had the privilege of working with choreographers such as Jon Lehrer, Kim Neal Nofsinger, and Sonya Tayeh as well as having the honor to work with some of the greats Al Gilbert and Frank Hatchett. Currently she is in her third season as a director with Innervation Dance Cooperative and her sixth as a performer. Other dance credits include: Body Movin Dance, IDC S.P.E.A.K.S., The Subconscious Development Motion Project, The Monocle Eclectic Dance Company, and several independent choreographers since moving to Chicago in 2011. She has most recently performed original works at the Emergence Choreographer’s Showcase, RADFest, Kaleidoscope Choreographer’s Festival, and Dance Chicago in addition to her work with IDC. Allison is also a certified fitness instructor in Zumba and Barre fitness formats. When she is not teaching dance or rehearsing she can usually be found watching through Star Trek for the 100th time or maybe even sleeping from time to time. A teaching artist and director, Hannah is new to Chicago, but her experience is far reaching. Most recently she directed a reading of Mukbang for The New Colony Writer’s Room and Urinetown: the Musical for Stage Right Performing Arts in Kansas City. Urinetown was recognized as a Regional Broadway World Awards recipient for best non-professional musical in 2018. Hannah’s work was recognized in 2017 by the Kansas City Fringe Festival for production of a new play titled, Here Lies Joyland - the play received a "Best of Fringe" award. In addition she has notable assistant director credits including the 2016 developmental Prince of Egypt workshop in New York City, and The Curious Incident of the Dog in the Night-Time at the Kansas City Repertory Theatre. She is additionally a teaching artist for Skyline Studios in the Chicagoland area. Other teaching artist/education affiliation includes: The Coterie Theatre, Starlight Theatre, Blue Lake Fine Arts Camp and Madison Avenue Performing Arts. Hannah was the artistic apprentice at Bay Street Theatre, in Sag Harbor, NY for the 2016 season where she worked closely with notable Broadway artists throughout the summer. Hannah graduated with her BA in Theatre from Kansas State University in 2015. Katelyn is thrilled to be working with The Stage School’s Rising Stars Program! A native of Hutchinson, Kansas, Katelyn earned her BFA in Musical Theatre from Wichita State University in 2014. She spent the past year touring with Missoula Children’s Theatre as a Tour Actor/Director. Stoss has had the privilege of working with community theatres, high school drama programs, dance studios, and hundreds of kids in communities across the North West and Canada. Melanie Delbridge began her professional career in a touring children's theatre production of "Cindrella" in 1988 and became a member of Equity in 2002. In her 30 years as an actress, she has worked in theatres from Key West, FL to Los Angeles, CA and everywhere in between. In 2014, she returned to her roots in central Illinois to continue her mission of making theatre accessible to everyone by opening her own theatre company, Sugar High Theatricals. Her company strives to create theatrical works which attract a non-traditional audience by performing musical revues, sketch comedy and children's theatre. She is proud of her work with the children's theatre program as the show's are completely staffed by young people from the assistant director, stage manager, technical crew and performers. Melanie regularly teaches workshops on acting and improv for adults, children and the developmentally disabled. She is thrilled to join the staff at the Stage School and to have another opportunity to share her love and knowledge of theatre. AMY ARBIZZANI is delighted to join the artistic staff at The Stage School! Prior to performing Off-Broadway, Amy toured nationally with THE LIGHT IN THE PIAZZA (1st B’wy Ntl) and internationally with TWICE CHARMED (Fairy Godmother) for the Walt Disney Company. She made her small screen debut as First Lady Ida McKinley in MURDER AT THE FAIR, and has appeared in a handful of commercials (perhaps most famously touting Empire Carpets). An Illinois native, she won a Jeff award (Outstanding Lead Actress, Musical) for her portrayal of Lucille Frank in PARADE. Some of her favorite roles include Amalia in SHE LOVES ME, Alma Stossel in THE CHRISTMAS SCHOONER, Christine in PHANTOM and the title role in EVITA. With a Masters in Elementary Education, Amy has also served as an academic teacher for many area schools, including Brookdale Elementary (K-5), DaVinci School (gifted 6-8), and Children's Creative Corner (Pre-K), as well as east coast programs such as EBL Coaching and NYC's famed LeaP program (which integrates arts into standard curriculum). Passionate about arts education, Amy has worked extensively as Master Teaching Artist for a variety of companies, including Lifeline Theatre Outreach (literacy/readers theatre), Ms. Clara's Mini Musicians (early childhood music), The Music and Dance Suite (private voice teacher), and Spotlight Youth Theatre (performing arts teacher/Vocal Director). She cannot wait to share her love of arts with Stage School students!